This is a homeless person in Chicago who has frozen to death. Certain stories in wide circulation on social media sites like Twitter mention about 15 Homeless People Found Frozen to Death in Chicago. They also carry a disheartening photograph claiming to show a homeless man who has frozen to death in Chicago. Amidst extreme cold weather in Chicago and other places during Polar Vortex, many viewers bought the story, which as a matter of fact, is not true. The image in question shows a homeless man asleep on the sidewalk; dusted in snow. Some Twitter users shared the disheartening photograph as a homeless person who died in freezing cold temperatures of Chicago. American actor and producer James Woods also shared it on Twitter. 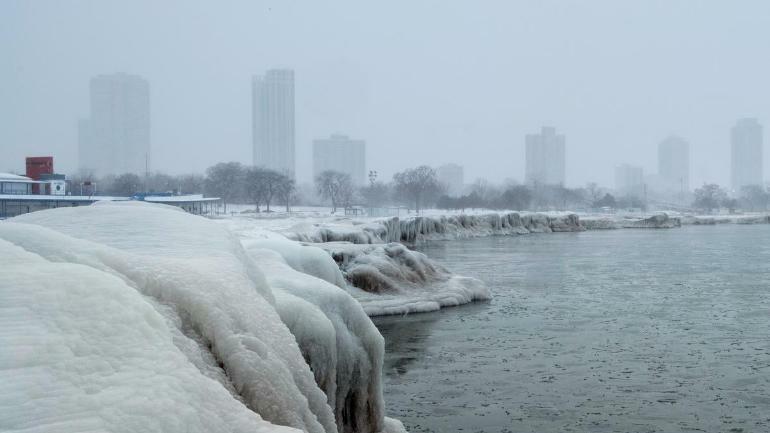 15 homeless people in #Chicago found frozen to death. Take a moment and think about how incredibly fortunate & blessed you are right now. Not many viewers realized, the viral photograph does not show an extreme death situation in Chicago during Polar Vortex 2019. It is an old one from Toronto, taken in January 2013 during an extreme cold weather. Have 15 Homeless People Frozen to Death in Chicago? It is a fact that Chicago has witnessed record-low temperatures since late Jan. 2019, dipping to dangerously cold levels, 24 degrees below zero. It is the result of deadly polar vortex blasting Midwest and Northeast regions with coldest air in decades. The brutal cold-air caused record breaking temperatures of around Minus-56 degrees in the Midwest like in Northern Minnesota. As per a CBS News update on 31st Jan. 2019, at least 9 weather-related deaths have been reported across United States. However, they did not mention the dead as homeless, and some included vehicle accidents and storm. There are no credible reports saying 15 homeless people have frozen to Death in Chicago. So, the claim in question is a hoax. On the other hand, thousands of citizens have been homeless in Chicago and other places of America. They live on streets at night, suffering in such extreme weather conditions.